Does your dog have a nasty case of gas? Have you noticed unusual sluggish behavior? Maybe your lovable pup has been throwing up more often than normal lately. If stomach trouble is your culprit, you may just want to take a glance at the extensive list of fantastic dog food for sensitive stomachs Listed below! The occasional bout of vomiting is usually normal, and there is little to worry about. This is a natural reaction when a dog eats something he shouldn’t, or his body is otherwise trying to get rid of an irritant. Repeated, regular bouts of vomiting, on the other hand, are not normal and should be cause for concern. This is a big indication your dog either has a sensitive stomach, some form of reaction to his diet, or possibly even another, larger health concern. Just like humans, diarrhea is usually a dog’s bodies way of getting rid of an irritant. Continuous loose or runny stools indicate your dog either ate something he shouldn’t have, or there is another health problem at work. On top of this, dogs can easily become dehydrated when losing excess water in their stools. Dehydration can be another, possibly major health concern resulting from excess diarrhea. Your dog’s sensitive stomach can easily cause frequent gas, and shouldn’t be ignored. Not only can this be a problem for human owners, your dog’s frequent gas isn’t normal and probably means there is an unusual concern you need to worry about! Though dogs don’t quite react to pain or discomfort often the same way humans do, they are just as susceptible to sensitive stomachs. Though it’s rarely a fatal concern, these poor dogs both struggle to digest their food well, and might also fall victim to a number of gastrointestinal problems. ● It’s always important to have a veterinarian examine your pet to determine the cause of his or her sensitive stomach! You’re choosing to feed your dog a certain kind of specific food for dogs with sensitive stomachs and gas, whether it be GI issues, allergies, or something else. Just because your limiting your options doesn’t mean you have to skimp out on nutrition! If your dog has a food allergy, you can find limited ingredient dog foods that are still high in nutrients if you know what to look for. Remembering dogs are natural carnivores and thrive best on meats and animal protein, you can simply isolate the specific ingredient with the help of a veterinarian if your pup has a meat allergy, and avoid foods with that ingredient. There usually isn’t a need to switch to vegetarian meals! Your veterinarian will almost always be able to pinpoint the reason your dog has a sensitive stomach, and either help treat the problem or advise you on what foods to give. Simply changing your pup’s diet isn’t enough. Try to figure out why your pet has stomach issues or what is causing them! Food allergies are very common in dogs, and it’s usually one specific ingredient that is causing a reaction. Thankfully, we have a solution! Limited ingredient dog foods are designed to offer as few ingredients as possible, limiting down to the very essentials and avoiding the allergen/ bad ingredient. If your dog still has these food allergies on this limited ingredient diet, it is far easier to figure out what the problem ingredient is from 5 rather than 30 ingredients! We’ve listed some of the absolute top quality, easy to digest dog foods for your lovable little fur kid to enjoy! You’ll never run out of ideas with these wonderful selections. 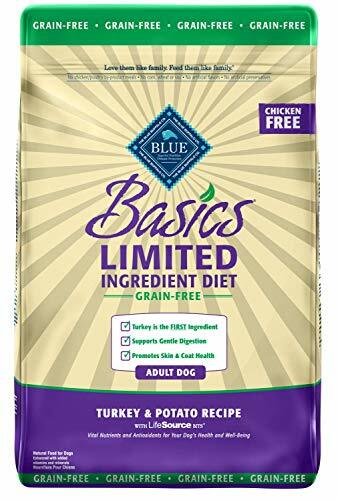 Already a huge name in premium dog food, Blue Buffalo offers fantastic recipes any dog will love! Their Basic Limited Ingredient Diet features one main ingredient: real deboned turkey. Easily digestible for dogs with upset stomachs, this single animal protein source combined with things like pumpkin to ease digestion is enhanced with vitamins and minerals to keep your pooch going strong! Common food allergens like chicken, beef, corn, wheat, soy or eggs will never be found here! Unlike several others, turkey isn’t a common food allergen like chicken or beef. On top of already being a fantastic protein source, the turkey is deboned to ease the digestion process. Created for dogs of any age, whether it be senior, puppy or adult, this nutritionally dense meal offers optimal animal protein with its turkey meal recipe. 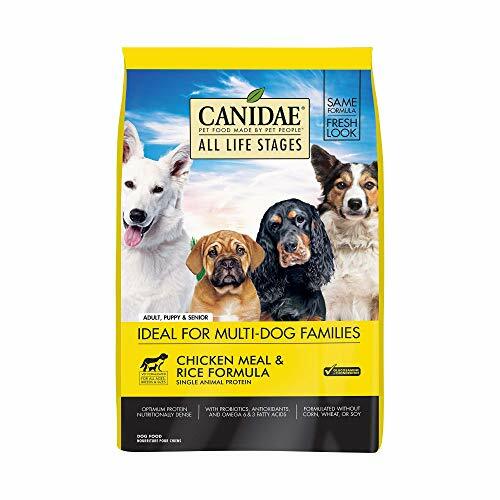 Canidae Life Stages is vet formulated for dogs of any age, cutting out the question of which brand to go with for your puppy or adult. You’ll only find premium ingredients here, and absolutely no grains, wheat or soy filler! Turkey is already a high quality source of animal protein, but the ‘meal’ is only more focused and concentrated. In fact, Turkey meal contains much less water than regular turkey, and up to 300% more protein. ● Optimum protein from turkey meal provides nutritionally dense formula your pup will love! Offering a simple, limited ingredient panel, this dog food helps limit, pinpoint, or eliminate possible food allergens your dog might be suffering from. 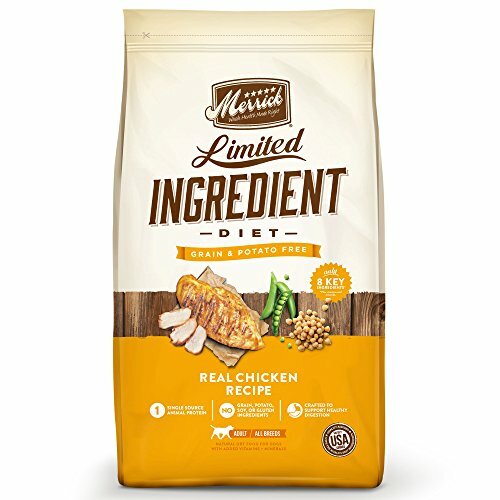 Grain free with no glutens, Merrick Limited Ingredient dog food helps offer a high quality diet for dogs not able to digest just any store bought food. This is great for two major reasons! For one, dogs are natural carnivores, biologically intended to consume meat products and meat/animal protein, getting the specific amino acids they need and can’t easily find in plant sources (like corn). Ingredients contained within a dog food are listed by quality, mean animal meat (chicken) is the largest ingredient here. Bones are considered difficult for a dog to digest. Because the chicken is ‘deboned’, it is much easier on your dog’s digestive system. ● High in Omega 3 and Omega 6 fatty acids to help maintain healthy skin, coats, hips and joints! By minimizing the number of ingredients a dog is exposed to, this limited ingredient dog food is another fantastic choice for dogs with simple upset stomachs or specific food allergies! Containing no artificial flavors, colors or preservatives, this is a great true meal for your pup. Foods like this one are fantastic because they both help support healthy digestion and provide great nutrition to boot. Another fantastic source of animal meat and quality protein, lamb is not only nutritious, it is tasty! Not only is this a special treat for your dog, humans rarely get to revel in this rare and expensive product. 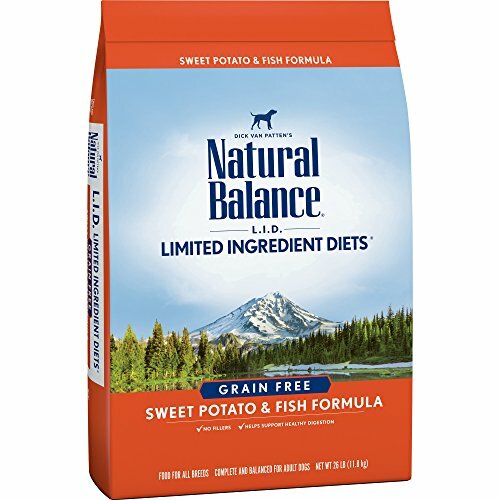 Another fantastic limited ingredient dog food, Natural Balance’s wet dog food is perhaps even easier on digestion in many cases. Wet dog food tends to be easier on a dog’s GI system, easier to chew and swallow, and better for hydration because it contains more water. Wet dog food is especially convenient for senior dogs who tend to develop oral problems because it’s easier to chew and swallow. 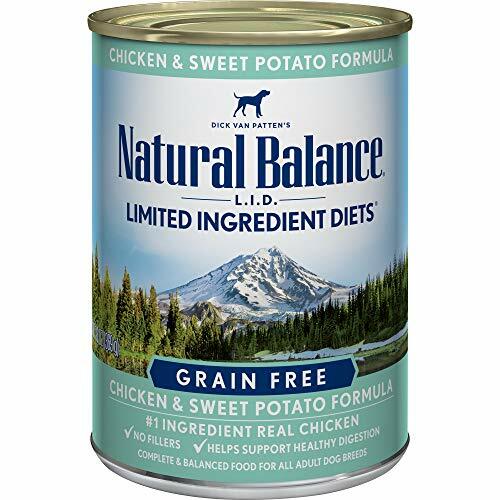 Offering plenty of protein while limiting ingredients used, Natural Balance’s Chicken and Sweet Potato Wet dog food formula provides all your dog needs to maintain a healthy body, while cutting out the unnecessary filler he doesn’t! Always made with 10 ingredients or less, Nutro Limited not only avoids ingredients that commonly cause food allergies, it’s made with non GMO ingredients to boot! 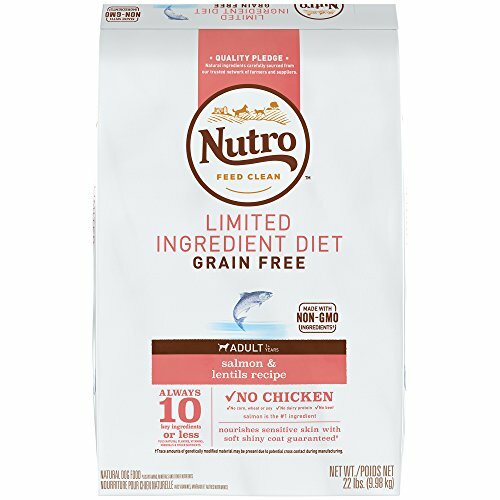 On top of this, Nutro Limited offers salmon as its top ingredient, unique to the other dog foods on this page. More unusual than most dog foods, Nutro is going with a fish- salmon, instead of using chicken, beef or turkey. Not only is salmon a fantastic source of nutrition, it offers important fish oils like Omega 3 and 6 fatty acids, integral for a healthy skin and coat! A food expert and nutritionist herself, Rachel Ray offers a surprisingly nutritious line of dog foods that are just as tasty as they are healthy! Eliminating the fillers like soy, wheat, and gluten. 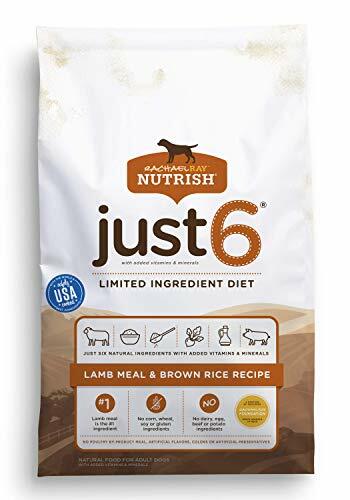 Just 6 Limited not only features lamb meal, a highly nutritional source of animal meat, it’s ingredients are limited for those pooches with food allergies or sensitive stomachs. Not only is lamb a high quality source of protein, meals are concentrated sources of protein. Lamb meal features up to 300% more protein than simple lamb! 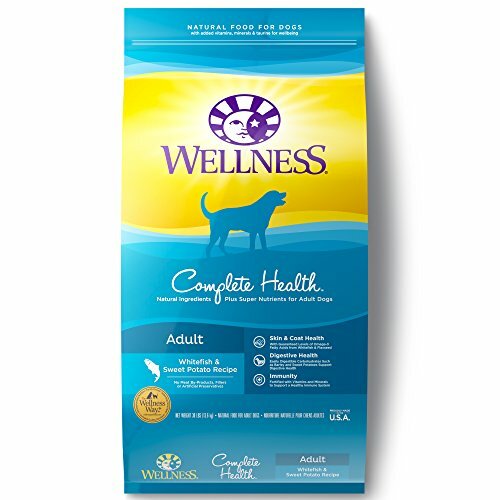 Providing complete and balanced everyday nutrition to help support your dog’s nutritional regimen perfectly, on top of influencing a healthy weight, Wellness Complete focuses on a low calorie diet. Again, Wellness Complete contains only natural ingredients with no wheat, corn, soy, or meat by-products. Packed with important fish oils like omega 3 and 6 fatty acids, whitefish not only offers a superb protein source, but all the nutrition your pet needs to thrive! Sweet potatoes offer important nutrients to boot, in the end providing a high quality nutritional regimen that supports your pet’s low calorie dietary needs. 1. What is causing my dog’s upset stomach, and why? Any number of things can cause your dog’s upset stomach. It could be a genetic or hereditary problem. You dog might have a food allergy, or otherwise not tolerate his current diet well. He could have eaten something else that he shouldn’t have. Sometimes, in rare cases more common in larger breeds, a dog might develop a very serious and potentially fatal condition called ‘gastric dilatation and volvulus’, more commonly known as ‘Bloat’, when he eats too fast. When this happens, his stomach cavity fills with gas, sometimes twisting and cutting off blood flow. When a dog’s stomach twists like this, he not only is deprived of nutrition due to blocked intestines, but organ tissues can’t get the blood supply the need and begin to die. Dogs suffering from this condition require emergency veterinary attention immediately. 2. What should I do for my dog’s gastrointestinal problems? Because owners very seldom know exactly what is causing their pet’s stomach problems, it’s integral to contact a veterinarian for an examination. Once you have a better idea of what the issue is, you can begin to treat it properly. Simply changing his diet may not be enough! Whether it be simple emotional distress or a larger issue at work, food for dogs with sensitive stomachs and gas can not only help eliminate allergens, but relive the problem as a whole! Thankfully, we’ve provided the pinnacle of dog foods in this area, giving you more than enough options for any pup to thrive.